There’s something to be said for understated elegance with a hint of muscular athleticism in the car you drive. 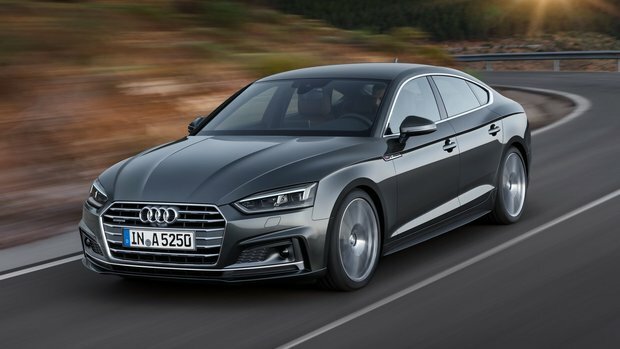 Finding that, along with a dynamic drive experience, luxurious amenities, and ultimate safety on all road conditions seemed impossible; until Audi released their all-new, redesigned Audi A5. 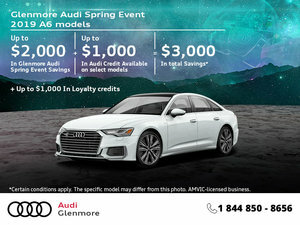 The brand new Audi A5 is available in three unique body styles; coupe, sportback, and cabriolet. The most notable of the three being the sportback, which beautifully incorporates the look and silhouette of a coupe while sporting four doors for easier passenger access and a larger hatch trunk. Of course, the traditional, more recognizable coupe body style is just as stunning as it was in previous generations, however, it’s seen a much-needed update. Much more linear and athletic, the 2018 Audi A5 front grille sports the signature linear look that stretches across the lineup, now. A strong shoulderline and ever-so-slightly flared fenders (especially on the S5 and RS5 variants), give the A5 a definite sense of strength and prowess on the road. And strength it definitely has. Beneath the newly sculpted hood of the 2018 Audi A5, you’ll find an inline-4 direct-injection, turbocharged engine that produces 252 horsepower and 273 lb-ft of torque. Power is sent to all four wheels thanks to Audi’s fabulous Quattro AWD system, and is controlled via a 7-speed S tronic automatic transmission. The Audi A5 will hit 100km/hr from a standstill in just 5.9 seconds. The same performance specs apply to the coupe, sportback and cabriolet. Besides offering a dynamic and invigorating drive, the 2018 Audi A5 also features an incredibly detailed and well-appointed interior. With available leather sport seating, or even S Line embroidered seats or Nappa leather, as well as an available flat-bottom steering wheel, the interior of the Audi A5 can be both a functional and welcoming place. Audi’s latest digital gauge cluster is also a thing to behold. Not only aesthetically pleasing, but also very easy to use and look at, Audi’s available Virtual Cockpit totally changes the user experience (for the better) behind the wheel of the 2018 Audi A5. From coupe to sportback to cabriolet, there’s an Audi A5 for every stage of life and personality. As capable in the winter as it is in the summer (thanks to Quattro), the 2018 Audi A5 offers the best of both worlds with a dynamic elegance that makes it as sporty as it does practical. To find out more about the all-new 2018 Audi A5, head down to your local Glenmore Audi dealer to speak to our experts about the A5 that will best suit your lifestyle, and don’t forget to book a test-drive, too.